Where do you want the Furniture Moving & Heavy Lifting Booking? 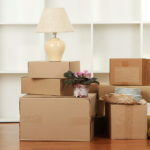 In addition to move, do you need any of the following? Anything else the furniture mover professional should know?